If it's fun and on the water... We Do It! Our Ideal 18’s are ruggedly built sloop rigged keelboats. They are easy to sail and extremely safe – the 650 pound lead keel on such a light boat makes them almost impossible to capsize. 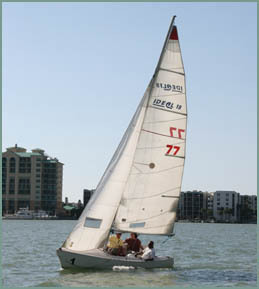 The Ideal 18’s are used for the basic Keelboat (101) course. Our “Learn to Sail” School is an American Sailing Association (ASA) Gold Star Certified Program, which is ‘the’ standard for sailing education in the U.S., and increasing elsewhere in the world. 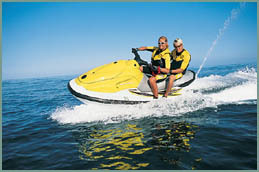 ASA certification is also recognized by major boat companies. The C&C 26 is an all around excellent Sailboat for intermediate sailors. It is a sloop rigged with main and jib, diesel inboard and roomy cockpit. 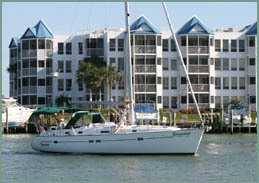 The Basic Coastal Cruising course is usually given on the C&C 26. The largest boat in the fleet is our Beneteau 411 sloop. She has two staterooms and two heads with showers; a full galley, roomy salon and air conditioning, making for a great learning experience. This Yacht is used for the live-aboard courses, such as Basic Coastal Cruising and Bareboat Chartering. Prices vary based upon the sailing sailing course(s) for which you qualify! 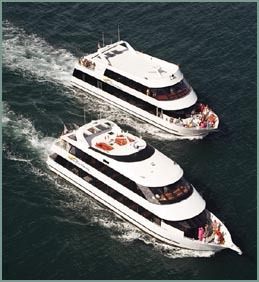 Our private (up to six passengers) “eco-tours” range from 2 hours to all day excursions. 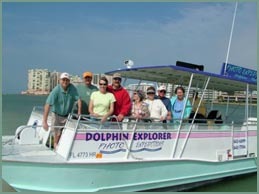 You may even customize your own trip and spend as much time shelling or dolphin watching as you want. The 10,000 Islands, part of the Coastal Everglades, is universally recognized as offering among the finest, most prolific shelling in the world. 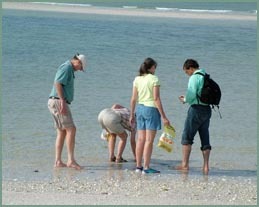 Our trips take you to remote barrier islands and sandbars to collect an enviable array of shells and, occasionally, the forever treasured sand dollars. Our 5 Star Padi dive centers are rated #1 in south Florida and offer a full line of rental gear for the beginner and expert. 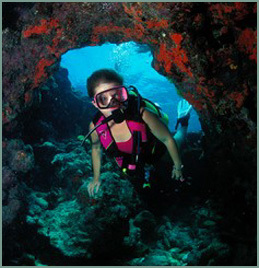 Let us design a fabulous underwater adventure for you! 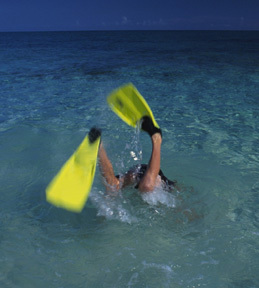 Southern Florida offers some the best snorkeling and diving in the world. A major draw is that the reefs are in shallow waters. Snorkelers and divers alike enjoy the beauty and abundance of beautifully colored tropical fish that surround the reefs. Vehicle drivers must be 16 years or older and have a valid drivers’ license. Any age can ride as a passenger. Price: $125 per vehicle, maximum of three passengers each vehicle. Or see the Gulf for yourself. One Hour and half hour rentals available. 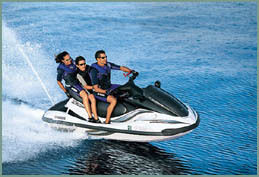 Yamaha Waverunners. Single, double and triple seats available. Vests included. We use only the best equipment on the market. Gator Board’s full line of boards, ropes and bindings. 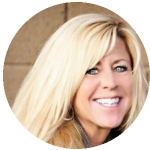 Whether you are a beginner or expert, we offer the “best” in water-ski instruction and experience. Learn to ski the easy way using the barefoot boom with 5 foot intermediate extension. Tubing is exhilarating when being pulled by a high powered custom ski boat driven by a professional instructor. And if you want a real high, try wakeboarding! The emerald green waters and beautiful barrier islands near Marco Island and Naples provide romantic and memorable settings for pre-wedding events, wedding ceremonies, and receptions. For the past twenty years, we have provided wedding and reception services to fit both your dreams and budget. 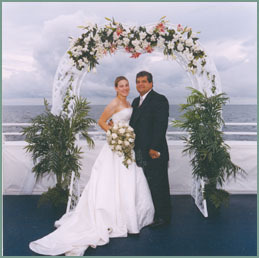 Whether for a rehearsal dinner, cocktails at sea, the ceremony itself, or a reception, we offer a diverse selection of choices for catering, music, decorations, floral arrangements, photography and/or videography. Our custom built boats can serve as the venue the ceremony or select one of our beautiful barrier islands as the venue for the ceremony and utilize the boats for the post-nuptial celebration. In the world of dance, we are welcoming The Martha Graham Dance Company, one of the country’s most esteemed dance troupes making their first appearance in Southwest Florida. Other breathtaking dance performances include Lord of the Dance and the Miami City Ballet. 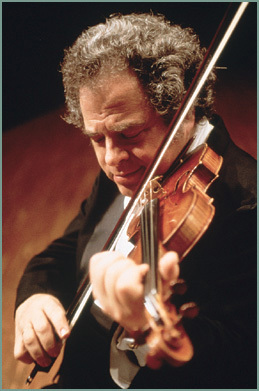 See our 85-piece Philharmonic Orchestra accompany such world-renowned artists as Lang Lang, Itzhak Perlman, James Galway and Renee Fleming. Watch as they perform Strauss’ Die Fledermaus, Verdi’s La Traviata, Mozart’s The Magic Flute and Donizetti’s Lucia Di Lammermoor.